Always very responsive and willing to go the extra mile for clients. Extremely knowledgeable about the Cincinnati market and surrounding suburbs. Has been an agent for a long time and will walk you through the process if you're a first time home buyer. Jeff knows the area, and is always immediate in response. He set up many showings for us with same day viewing. Jeff was proactive in helping us through the entire home buying process. Jeff was very helpful in helping us sell our home....and buy our new one! He was always available to answer my questions and provide good advice on how to move forward. Great Job! We were very happy to work with Jeff. I will recommend to everyone I come across looking to buy or sell a home. He is very knowledgeable and very timely in responding. Jeff answered my call right away and put the offer in minutes later to get us the winning bid. Always let us know how the process was going along all the way up to closing. Very helpful. I have dealt with numerous Real Estate agents and Jeff is at the top of his game. Highly recommend him if you are looking for a realtor in the Cincinnati area! He was always accessible and extremely knowledgeable about the Cincinnati market. We cannot say enough good things about Jeff. Thank you Jeff for being so patient with us throughout the entire process-We love our house! You will love this guy! At age 63, this was my very first home buying experience and I am so glad that I found Jeff. I never had any doubts that I was in very capable hands. His deep knowledge of the real estate market as well as construction/renovation costs was so very helpful to me as he guided me through the entire process of finding and buying just the right house. He was unfailingly positive and courteous, promptly answered or found answers to my (many!) questions, and he was always willing to go that extra mile. Jeff knows the Cincinnati market more than any realtor that I have met and I have been in the business for four years. He is your guy to go to if you have any questions about anything mortgage related. Jeff just helped me with purchasing my first home. He is very knowledgeable and I highly recommend him ! Jeff sold out house in 5 days! Knows the market and goes above and beyond expectations. Thanks for everything! Very professional and the fact that Jeff is able to provide market analysis/appraisals on the subject property makes the buying experience very unique. Responsive and very straight forward. Extremely knowledgeable. This is the second home Jeff has helped me purchase. He is always very patient, knowledgeable about the neighborhoods we looked at and very responsive. We were referred to Jeff because he is involved with the Homes for Heroes organization. Jeff was professional and thorough. I would highly recommend Jeff to anyone looking to buy or sell a home in the greater Cincinnati area. Jeff is knowledgeable and quick to respond. He was accessible throughout the entire process. Can't say enough about Jeff!! He is extremely reliable and professional! So thankful that we could depend on his word and trust his opinion. We are so happy at our new home! Jeff is one of the finest real estate professionals I have had the pleasure with whom to work. Jeff is smart, caring and meticulous about his work. Jeff has worked for me for several years and I find him to be a very knowledgeable and honest real estate professional. 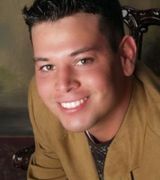 He represents OwnerLand Realty with the upmost integrity and represents his clients with the upmost professionalism. Jeff was very helpful and patient with us in both buying and selling our homes! I have had the pleasure to work with Jeff Williamson and he has been very professional. He really cares about people. Rock star Realtor. That's all you need to know. Work with him.